The Kurodake Rope-way in Hokkaido climbs along Mt. Kurodake in the Daizetsuzan Mountains for a wonderful panoramic view of the mountain and Sounkyo gorges. 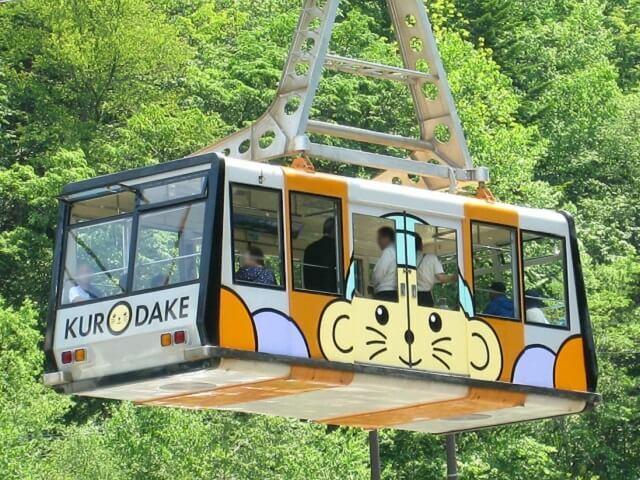 Up to 101 people can fit on the rope-way as it climbs a 1,300 meter (984 feet) cable with a large window for sightseeing. 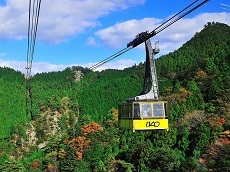 The rope-way opened in 1967 by the Rinyu Kanko company and served as a way for guests to travel from the Sounkyo Onsen to the 5th station of Mt. Kurodake, with a chairlift connected for skiers in the winter and hikers in the summer. 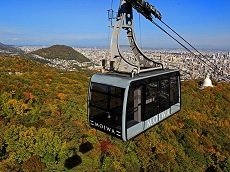 The rope-way is also popular between September to October for the autumn colors of the leaves on the mountain. 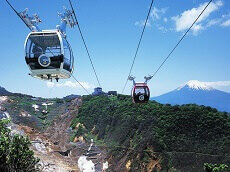 Rope-way rides are a popular way to enjoy our Japan tours, and the Kurodake Rope-way is no exception. 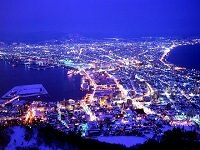 Enjoy scenic views of Hokkaido's charming Mt. Kurodake in the Daisetsuzan mountains on the Kurodake Rope-way before returning to the hotel for a wonderful meal on your next Japan tour vacation!